Home Uncategorized Will Fintech Kill Traditional Banking or Simply Help It Reinvent Itself? The search for the next big thing is a constant in Silicon Valley. The drive to innovate and pioneer is what keeps the tech sector steaming ahead, discarding those unable to maintain pace. The tech space is a ruthless one where the riches are elusive and failures are plentiful. One of the hottest, current trends is Fintech (Financial Technology). I’ve personally experienced a huge increase in the volume of new project discussions with innovative, game changing technology ideas and businesses that are disrupting the financial and banking sectors. In 2015, investment in the space in the Asia-Pac region topped $3.5 billion, significantly up from the $880 million we saw in 2014. These figures hit dizzying heights when considered on a global scale. There’s sentiment in some corners of the market that Fintech can and will sound the death knell for traditional banks. However when considered in greater context, we see that these very same banks, through strategic acquisitions and partnerships, may well put a stop to even the more cutting-edge technology solutions playing a major disruptive role. It’s no secret, the opportunity in Fintech is huge and one that excites me immensely both as a tech/digital CEO and as a consumer. But, we need to keep a cool head about this space and acknowledge that banks are very unlikely to disappear. 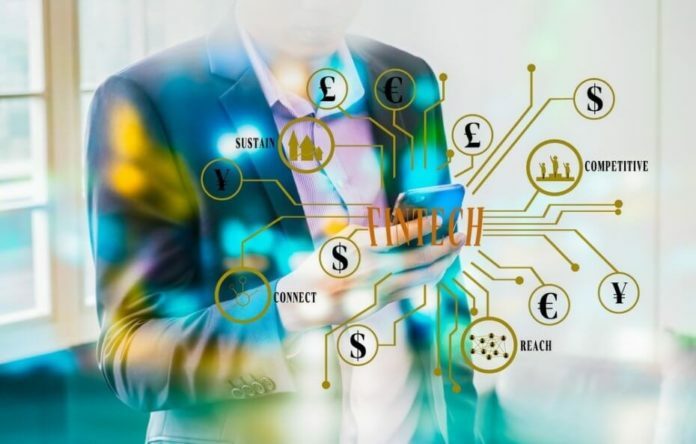 We are already seeing that the best of breed Fintech disrupters are embracing the banks and working with them, rather than making attempts to destroy or replace them. Public sentiment is creating innovation opportunity. So, Fintech is hot right now. Really hot. Why? Public sentiment, so much so that is has the banks even sitting up and taking it seriously. Since the GFC (Global Financial Crisis), we (The public) haven’t had the greatest affection for our banking sector. Couple that with the very well known fact (At least in tech circles) that very little has changed in the traditional banking space from a technological perspective for in excess of 20 years. Many big banks have failed miserably in technology offerings for their customers, either being extremely slow to release new platforms, or producing solutions that are clumsy, clunky and in some cases simply unworkable for the user. What does this mean? Innovators and disrupters have a damn good platform to enter the fray and take a slice of the pie. The banks are vulnerable and they know it. The combination of sentiment and lack of technology advancement is helping Fintech make their approaches to our banks. Right now wholesale disruption on a grand scale isn’t an immediate concern, but what is of enormous concern is the impact innovators and disrupters can and are having on the banking sector by nibbling away at specific elements of their business. And this is where we are starting to see genuine incremental innovation and disruption and I must admit (again) just how exciting this is. We might be overcooking the suggestion. Speaking in general terms, the banking sector is so entrenched and protected that challenging it as a whole from the outside is an unwinnable battle. We know well enough to never say never, but it’s reasonable to assume that the likelihood of a startup posing a serious, life changing threat to our largest banks is low. Keep in mind, banks are big and have loads of cash. And it always comes down to money. If a Fintech startup shows real promise, or starts disrupting in a big way, a bank strolls in and acquires them. In our space (technology), money talks and has a staggering influence on buyouts. Innovators & disrupters will help the banks improve. Ever dealt with a bank? It’s hard work isn’t it. Their processes are decades old, slow and frustrating. This is where the biggest opportunity sits. Changing the way banks serve their customers. The mortgage process is a prime candidate and it’s only a matter of time before a Fintech startup get’s in the door and help improve this specific dinosaur. The biggest hurdle is having the tenacity and patience to navigate prehistoric and often frustrating internal politics of the banking world. Up until recently, it has been difficult (Actually impossible) for small companies to get a chair at the big table with the banks, however with public sentiment and the genuine need to innovate at an all time high, the banking industry is making that process much easier and are opening their collective doors to disrupters and innovators, to help their own cause. Fintech is hot and it’s a space to watch with the greatest of excitement and anticipation.